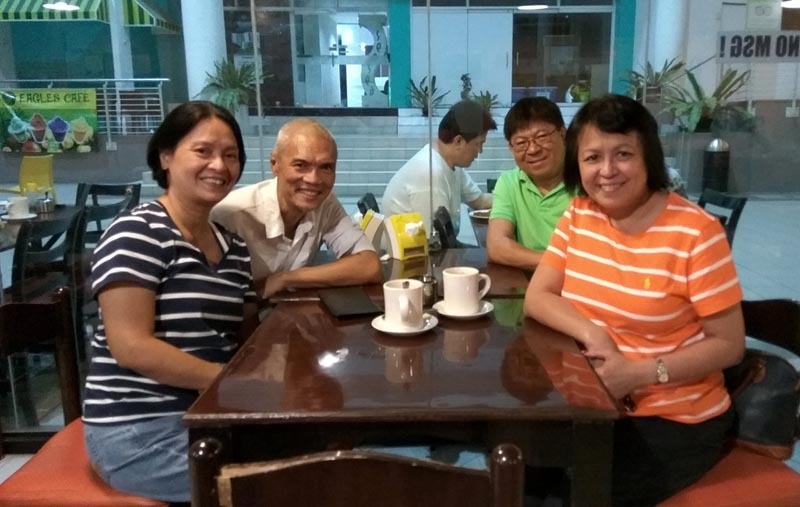 Cebu City offers many highlights but none more compelling than meeting up with dear friends I have the good fortune to bond with on every visit. Moreso, it underscores my travel statement that at the end of the day, it's not about the waterfall or the cave but the lingering people connection that adds dimension to any destination. 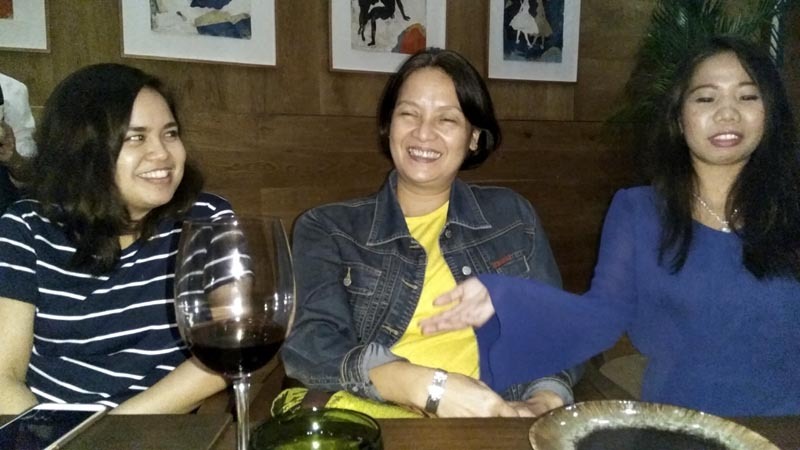 A visit to Cebu is not complete without bonding with my dear friend Jeanne. 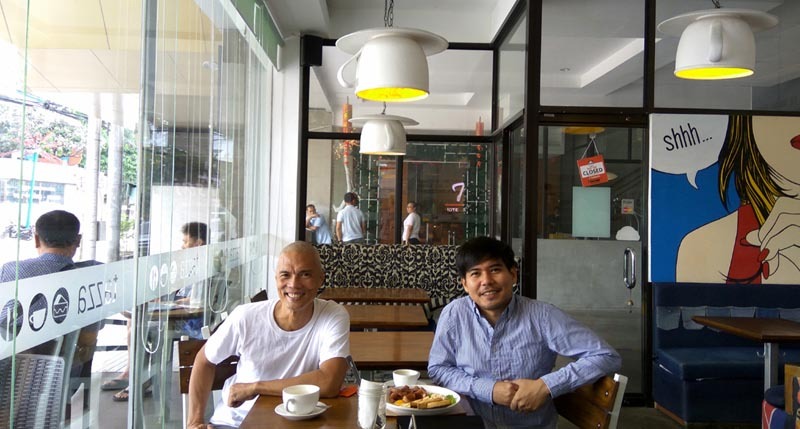 Without feeling the one-year absence, we resumed our morning TS (theosophical talks) over coffee, talking about yoga, evolution and the changing cultural landscape of Cebu. It's a great way to start the day and a great way to enrich our deepening friendship. 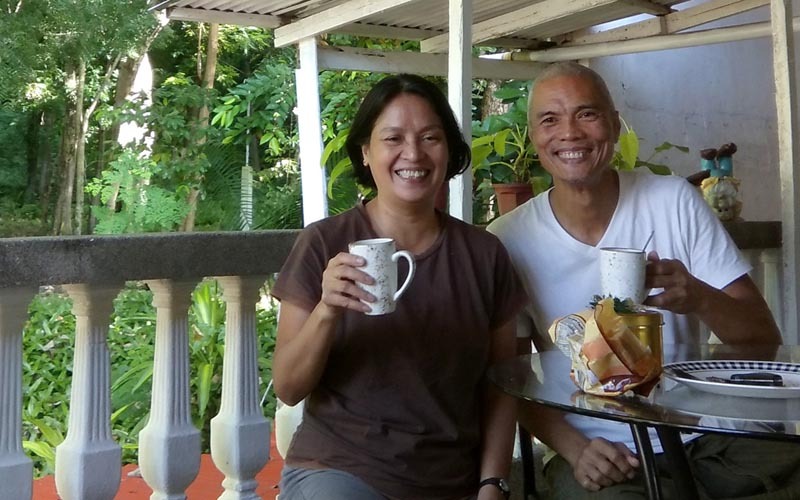 Jeanne is also my Good Samaritan in Cebu, providing a roof over my head during my stay. In our latest talk, we somehow stumbled upon this exciting idea of creating our own retreat haven instead of waiting for other people to manifest it for us. I'll be pursuing this avenue. 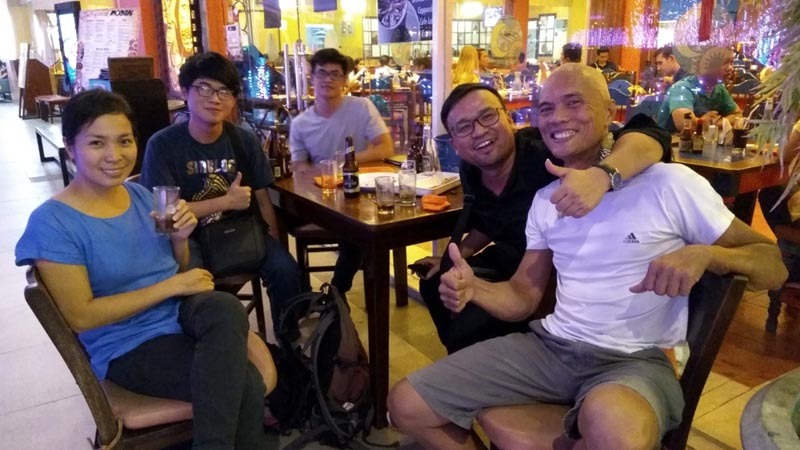 I met Vien in Ho Chi Minh City in his plush downtown cafe, Cafetram, where I became his English teacher. He's also a celebrated film director. 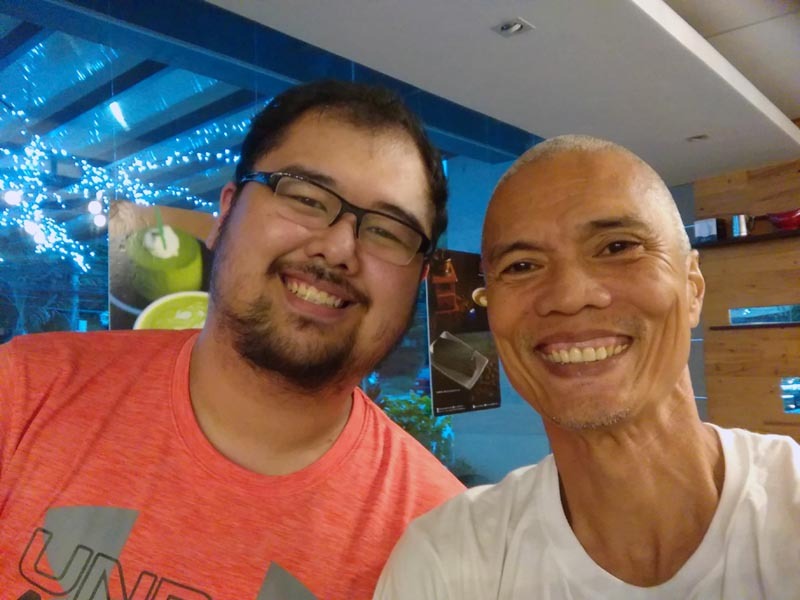 Here in Cebu to learn English, we hang together with his other Vietnamese friends (or mine) whenever he's free. It's always good to reconnect with a friend I met during my travels. Last time I was with AJ, I told her I was drawn to her. That remains true with this visit. 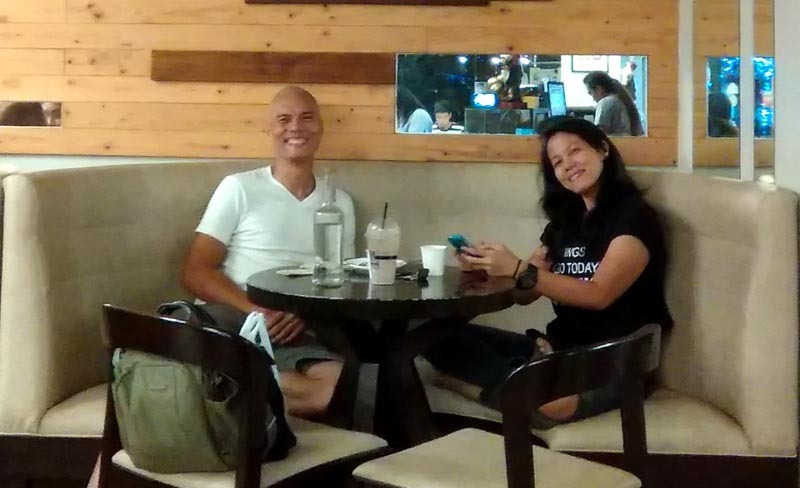 We don't talk much online during my absence in Cebu, but when we meet up for coffee, the vibe feels like a seamless continuity from the last conversation from the year before. She's like a glove that fits comfortably you don't even notice the glove. We're on the same page where we don't have to explain too much of ourselves. I only met Klaire during my last visit and had a fleeting 5-min conversation - that's it. I always say that the first 5-mins with a person would already tell me if I want to pursue a connection. 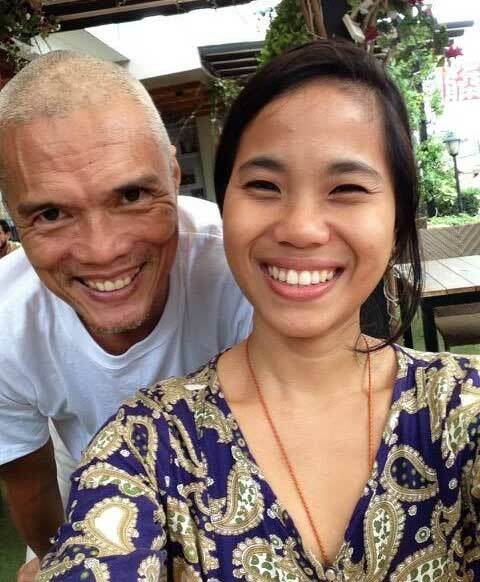 That's how I felt about Klaire, so now back in Cebu, I'm just glad she could find time to meet up for coffee. Before I realized it, we were engagingly talking for nearly 2.5 hours. Yes, I believe we're on the same page as well, and I look forward to deepening this budding friendship. 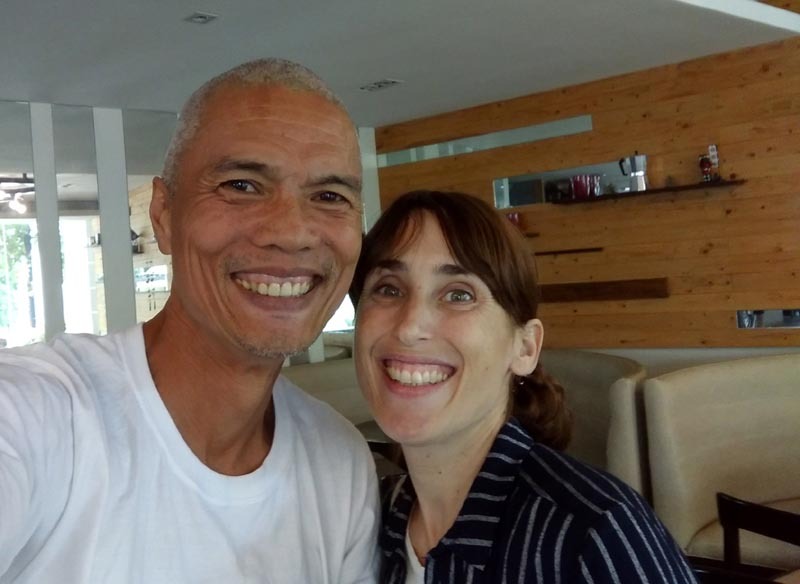 Most of Cebu know Pascale as the French yoga teacher. That's how I started with her as well, but in the passing years, our paths seem to parallel each other. 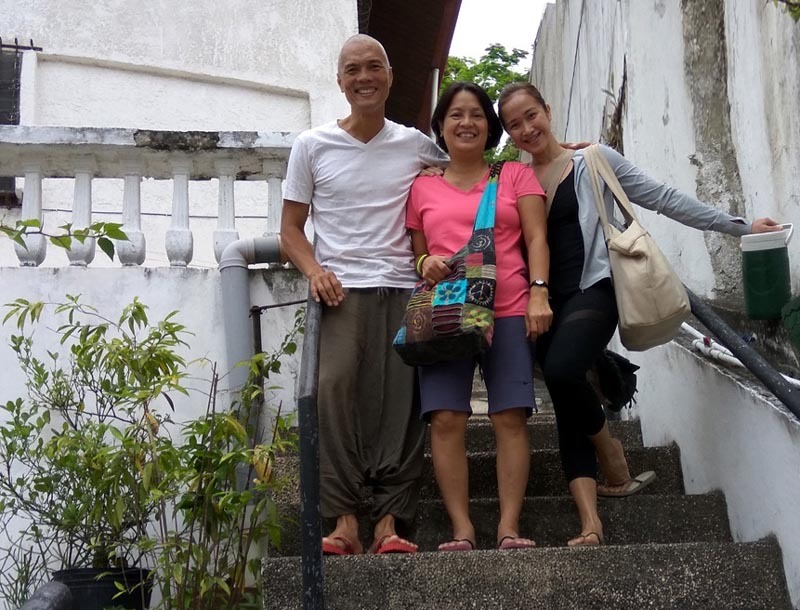 With yoga as our cornerstone, we both pursued a monastic experience at Plum Village in Thailand in the tradition of Vietnamese Zen Monk, Thich Nhat Hanh. Vipassana Meditation likewise looms on her horizon. We talked at length about our spiritual journey and its continuing evolution. She invited me to conduct a mindfulness meditation on her ongoing yoga teacher-training course. I met with Jackie to get my pre-ordered fruit cake. It was also our chance to catch up. 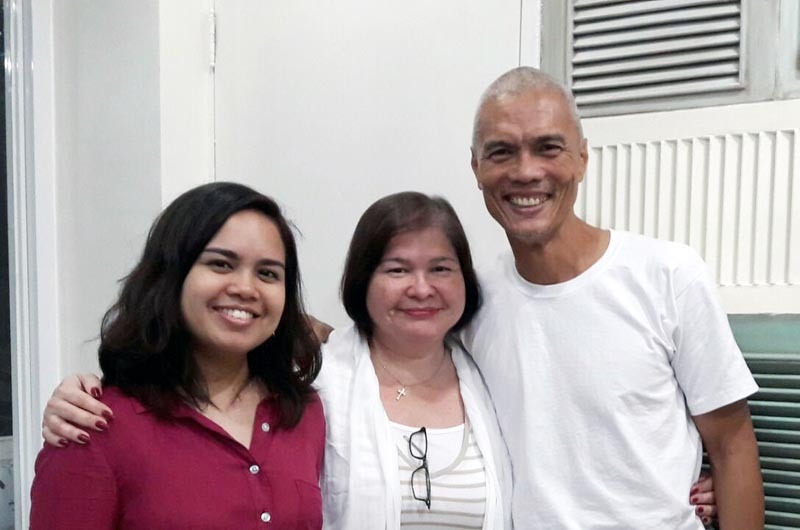 Her many years as guidance counselor at Ateneo, her being a devoted mother and her being a yoga teacher bring together a grounded perspective in seeing the world. With her wit, pleasant demeanor and anchored insight, my talk with her was such a delight. It was short and fleeting as we talked in passing. He is the charismatic head of the Theosophical Society in Cebu. His wit and humor bring laughter to an otherwise heavy and profound discussion about spiritual pursuits and higher evolution. Lovorn is fun! Bea has always been nice to me. During my last visit, she would invite me to art openings. 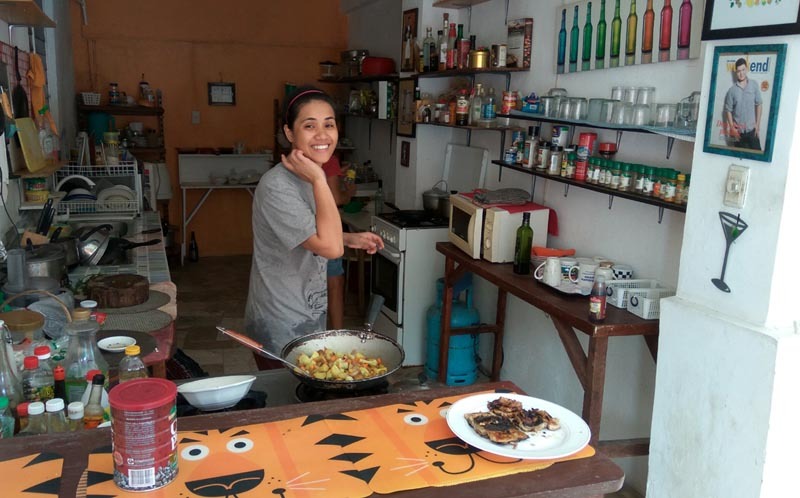 Now, she would share whatever she's whipping up in the kitchen at Dragonfly Yoga Studio where I also stay. I look up to her on formalized art (and good kitchen eats). Bobette is her own category - bubbly, pro-active, positive and engaging. Add magnanimous almost to a fault - I say that in an affectionate way. Mostly, I only had a passing short talk with her in my last visit, but this time, I made an effort to have a quality coffee conversation with her. 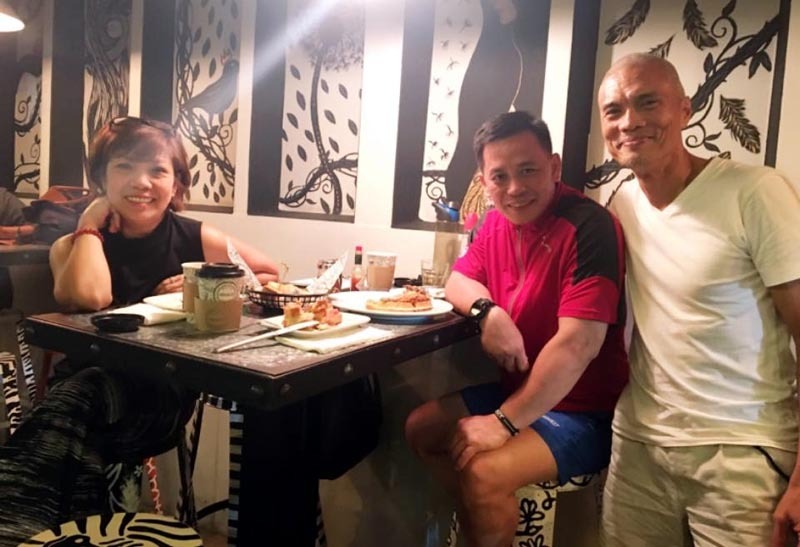 I met her together with her longtime assistant Lec and Coach Rommel at Abaca Baking Company's newest branch in Banawa. 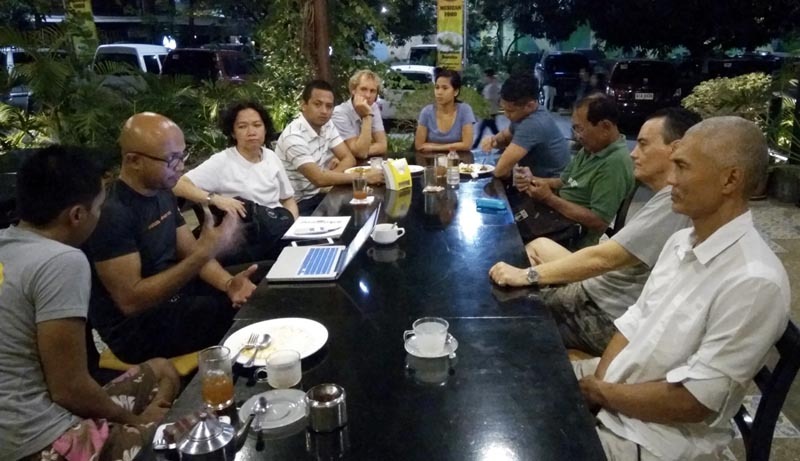 Good food, great company and engaging talk. I came home full, satiated, and with a pleasant smile on my face. She has as many names (Ronet, Monica, Davy) as she has varied phases in her spiritual journey. I'm glad I caught up with her. Half grounded and half on Cloud 9 (literally and figuratively), she talked about new highs in her latest pursuit of spirituality, bordering on radical health approaches. Her body seems to be taking them well which makes me curious. I might end up doing them as well and see what my body tells me. I haven't seen her so blissed-out. Go girl, what looms on your horizon excites me. 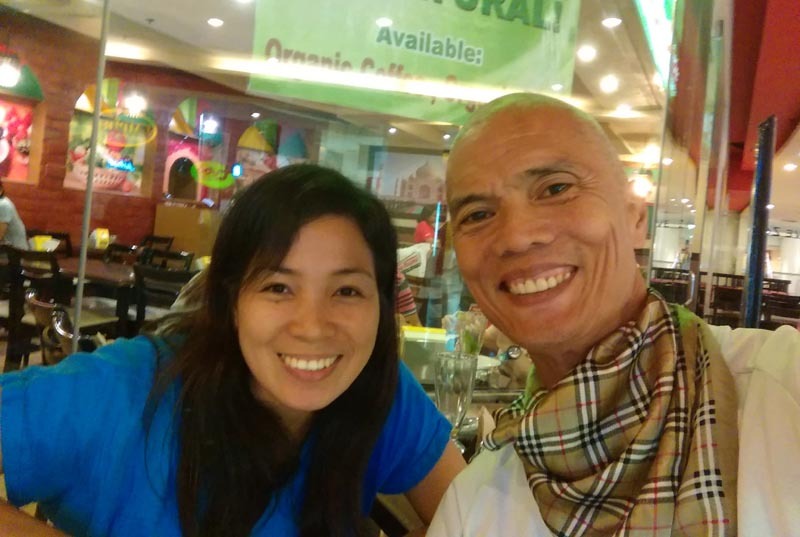 Nandinii and I go back to my early days in Cebu. We support each other and hang-out whenever time allows. In Cebu, she's the closest thing I have to a high school buddy. She's the one I could just text spontaneously and ask, "hey...wanna have coffee?" - no need for pre-planning. She surprised me this time by gifting me a dry bag - something I need given the many boat trips I take venturing into the islands. Opposite poles attract and this seems to be the case with this dynamic couple. 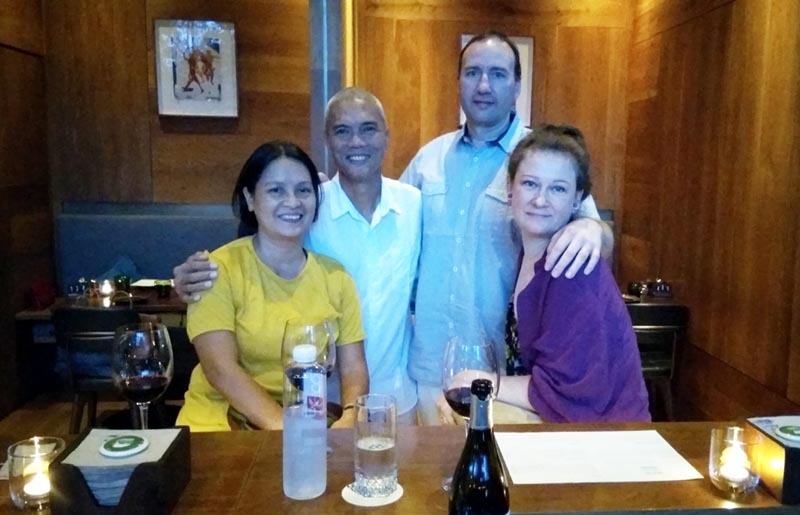 PK & Lana treated us to dinner a few years ago and now, being PK's birthday, we (Jeanne and her yoga contingent) were once again invited to a gourmet gathering at The Pig & Palm - canapés, hors d'oeuvre, tapas and antipasto by Michelin-starred British chef Jason Atherton. Lana's vibrant spontaneity is balanced by PK's anchored grounding. Together, they paint the town red - and we're along for the great ride. I tried, I planned, I invited, but meeting up somehow didn't take place. I lost my voice at some point and had to take rest, some had a tight schedule and some were out of the city - it happens even with the best of intentions. 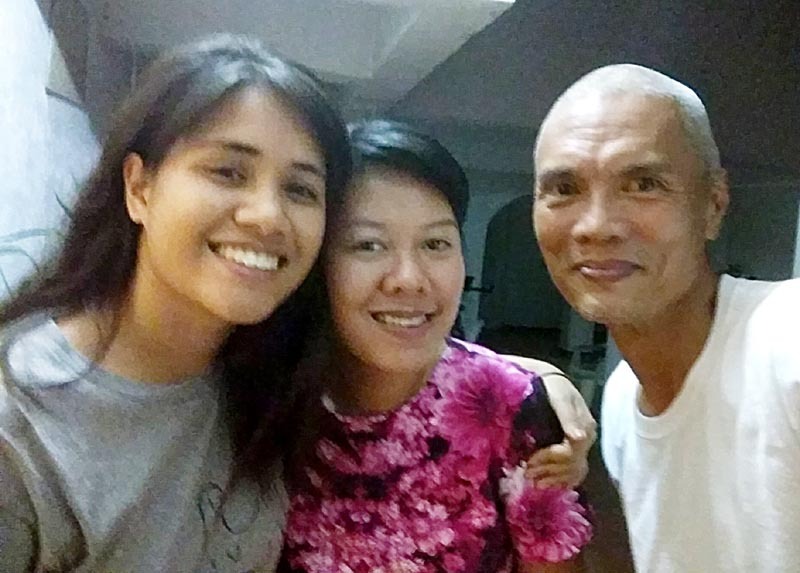 Normally, yoga and Cebu go hand in hand with me. Not this time however. 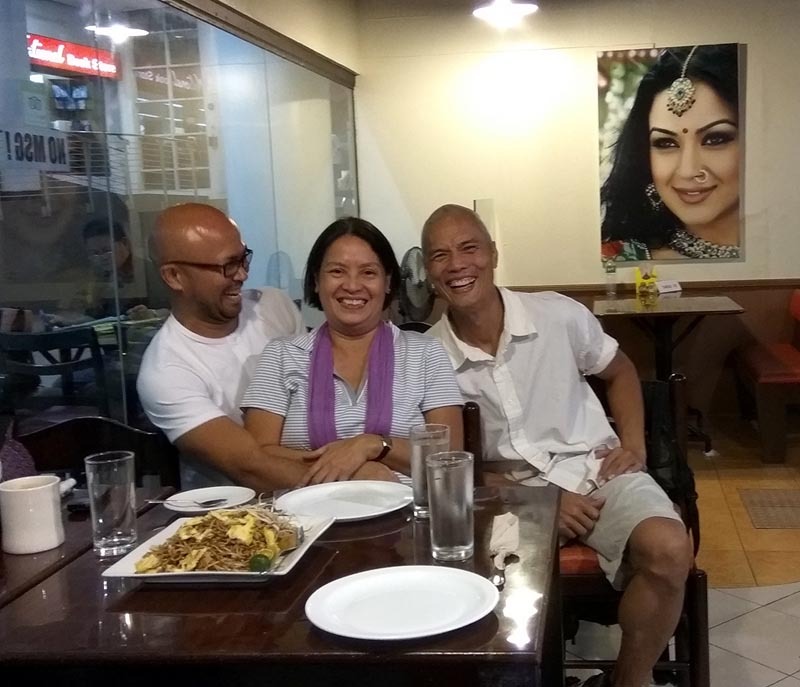 With limited time, I just spent moments with people I wanted to be with - old friends whose radiance bring reassurance and acquaintances I wanted to be friends with. I was lucky to have connected with most of them. On top of that, there were a few unexpected meet-ups that just added color to my Cebu stay. Once again, thank you Cebu. You are animated by the vibrant people you keep as I am lucky to be allowed within their orbit. (Feb 5, 2017) Twas really my pleasure to see you again. There's never enough time to catch up on talk. But I'll see you again, won't I? :) and thank you soooooo much for the kind words. huge compliments coming from you. I can actually say the same things about you, as well.... and more! :) safe travels. take care always. (Feb 5, 2017) hope you get your voice back soon. (Feb 5, 2017) How long will you be in Cebu? I am in Manila and will be back late tomorrow afternoon. I would have wanted to see you...maybe next time. Take care!! !